Regardless of how you feel about politics in general or any of the candidates in particular, the run-up to the presidential election is always pretty eye-opening. For instance, we tend to learn a lot about candidates’ finances, which can be inspiring (often in the sense that it inspires jealousy, shock, and rage, but still). This go-round has been a little different, in part because the players have been less than forthcoming about some aspects of their personal finances. While he was running, Bernie Sanders delayed releasing his tax returns, and Donald Trump has yet to do so. We do have some information about Trump’s finances, however, courtesy of his 92-page personal financial disclosure report to the FEC. Depending on whether you count titles that are some variation on “trustee,” that number goes up to over 500. But so what, you ask? Well, it turns out, there are some things you can learn from the various job titles of Donald J. Trump, totally unrelated to politics. The rich are different than you and me. If you’ve ever felt bad because you haven’t clawed your way up the corporate ladder, you can stop beating yourself up: starting out wealthy is a big advantage in any career. 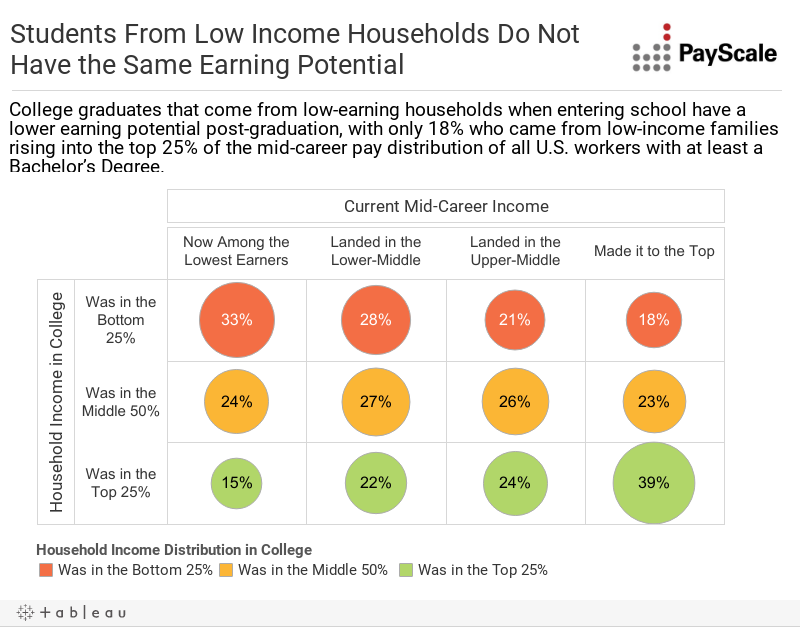 This year’s edition of PayScale’s College ROI Report included a section on household income to highlight this fact. Donald Trump famously claims to have started out his career with a $1 million loan from his father. The veracity of that claim is up for debate, but regardless, it would be a heck of a leg up on success. Think of what you could do, if you’d started out with zero college loans and lottery-sized nest egg. The point is, most people are not in the position of Trump or any presidential candidate. So cut yourself some slack. Don’t lie on your resume (but spin things to your advantage). Financial filings are different from resumes, of course, but perusing them reminds us that documents like these have to be true in fact—but spin is OK. For example, it’s probably true that Trump has all of these jobs, but he’d need to be president and chairman of a company developing cloning technology to have a day-to-day role in each of these organizations. I’m not (at all) suggesting that you emulate Trump in your career, or make him the patron saint of your job search. But for those of us who tend to self-edit to the point of hiding our light under a bushel, it’s good to pay attention to how people at the other end of spectrum do things. In short: be honest, but if you did something, don’t cheat yourself out of credit. Do you look for career lessons from public figures, or are their experiences too different to feel relatable? Talk to us on Twitter or leave a comment.